Home2018 Football Future Betting OddsHome-Field Advantage in Football: Truth or Myth? Looking at them from a distance, NFL and college football stadiums appear as concrete cereal bowls or steel igloos, but as one gets closer, the size and stature become immediately apparent and the weight of what will happen shortly begins to take hold. Once the gates open, streams of chanting and singing fans flaunting colors true to their team flow up and down the ramps and stairs into crowded halls filled with merchants selling attire and vendors churning out food and drink so the crowd doesn’t go hungry but stays restless. After preparations are finished, fans flock toward the lit tunnel openings because finding one means joining the crowd and taking a seat just in time for the weekly festivity. Inside the modern-day Colosseum, two teams of gridiron gladiators are pitted against each other in the most popular sport in America. The home team is cheered on by the myriads of fans in the stands, while the away team are merely travelers who are shouted at and lambasted any time they have the ball, making it clear that they are not welcome here. Home-field advantage is often regarded as one of the biggest advantages a team can have but is playing at home still relevant to today’s game of football? Oddsmakers seem to believe in home-field advantage when posting lines for football futures betting and commonly follow the “3-point rule” where 3 points are factored into the predicted final margin of victory or loss for the home team. Essentially, if Team A is at home and favored by 5 points (-5) over Team B, then if Team A was on the road against Team B, they would be expected to only be favored by 2 points (-2). So, case closed and nothing to see here, right? Because from not having to travel to having a loud fan base screaming at the away team, playing at home seems to have a lot in favor of it. However, there have been many studies performed over the past couple of decades and the findings may come as a surprise to most. The NFL has long been known for its parity among teams, especially since the salary cap was introduced in 1994, as well as many fans commonly using the phrase “any given Sunday,” implying any NFL team, regardless of record, can win each week. Since the 2000 NFL season, home teams have a 57.1% win rate in the regular season and a staggering 64.7% win rate in the playoffs. Most football analysts believe the increased win rate in the playoffs is because the higher-seeded teams are awarded home-field advantage based on more wins and better overall regular season performance. But how does college football fair? Parity doesn’t exist as much in college football since there are 129 NCAA Division I FBS teams, but roughly 10-20 have a reasonable shot at winning the national championship each year due to bigger-budgeted schools recruiting the best players and having the money to invest in better coaching and infrastructure. Playing at home has often been a huge factor in college since stadiums tend to be larger and the young college players, who are typically age 18-22, are more likely to get rattled under pressure. A study done in 2016 found from 1996-2013, college football teams from major conferences had a 56.5% win rate at home. However, when examining all the team from the Power 5 Conferences (ACC, Big Ten, Big 12, Pac-12, SEC) in 2014-2015 the win rate for home teams fell to 50.8%. Why Has Home-field Advantage Suddenly Diminished in College Football? College football attendance declining since the start of the decade, younger fans and students being less engaged with the game due to the rise of smartphones, and college teams adapting to loud crowd noises by using cue cards and hand signals are among the most common theories as to why home field doesn’t matter as much in college football anymore, but wait, why isn’t this affecting the advantage playing at home has for an NFL team? The most likely factor at play here mimics the number one rule for real estate agents: Location, location, location. Because of the way the NCAA and conference structure are set up, teams in the same conference are, for the most part, located in a specific region in the country i.e. teams from the Atlantic Coast Conference (ACC) are in states found along the Atlantic Coast, Southeastern Conference teams are in the southeastern part of the country, etc. On a standard 12-game college football schedule, teams will play 8-10 games against teams in their conference, and the other games will likely be played at home or against an in-state rival, limiting travel even more. However, NFL teams travel across the country many times during a 16-game season. While yes, teams do play the other three teams in their division six times a year (3 games home, 3 games away) and those teams are based on regions as well, that still leaves 5 games (out of the 10 games again non-division opponents) on the road and will most likely be played in another region. This isn’t even factoring in a team like, for example, the Los Angeles Chargers who will play the Bills in Buffalo, New York on September 16 then travel back to California the next day, traveling across the country twice and changing time zones three times both times. And if the distance and time zones NFL teams have to travel as opposed to college teams weren’t enough, then factor in the weather too. College football games are primarily held in warmer climates, and when they are held in colder parts of the country, the regular season ends in the last week of November, before heavy snow can fall most of the time. Even most of the bowl season and College Football Playoff takes place in warmer climates or domes. 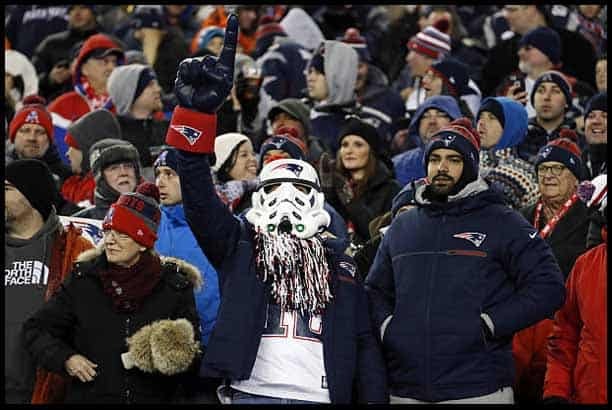 The NFL, on the other hand, plays home games well into January, so it’s likely to see games in Green Bay, Wisconsin or Foxborough, Massachusetts affected by a blizzard or a temperature below 0 degrees Fahrenheit. However, more teams are building domes in the NFL, so Mother Nature may not play any role at all in the future. The oddsmakers at various sportsbooks are unlikely to change their formula any time soon, but this is good news for the informed bettor and factoring in or out the 3-point rule before placing a wager could determine whether or not a bet is won or lost. 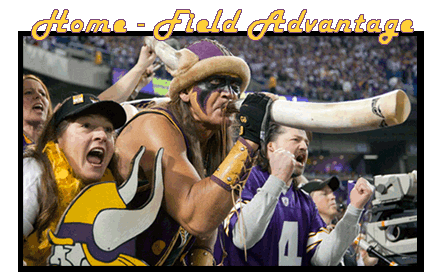 Just remember: In the NFL, the home-field advantage does exist even if it isn’t so much from the crowd and instead, likely come from having to adapt to frequent travel, changing time zones and harsh weather. 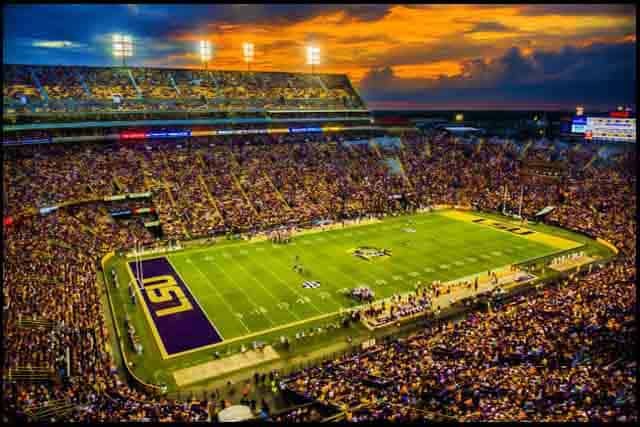 However, in college football, at least according to the statistics, having home-field advantage in the modern-day coliseum is nothing more than a mirage.